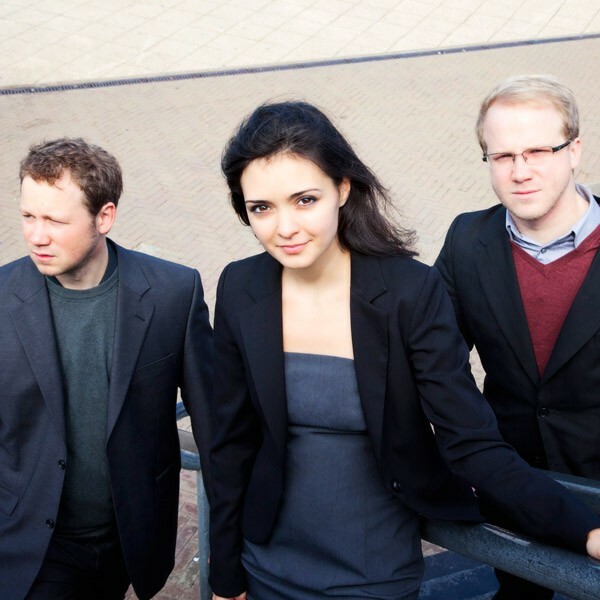 Founded in 2006 by Rada Ovcharova (violin), Emlyn Stam (viola) and Willem Stam (cello) the Ysaÿe Trio performs regularly at the leading festivals and concert halls throughout the Netherlands as well as abroad. The trio has performed at concert halls such as De Doelen (Rotterdam), Vredenburg (Utrecht), Muziekgebouw aan ‘t IJ (Amsterdam) and at the Dr Anton Philipszaal (Den Haag) as well as at numerous festivals like Grachtenfestival (Amsterdam), Festival Classique (Den Haag), Internationaal Kamermuziek Festival (Utrecht) and the Varna Summer Festival (Bulgaria). The trio has also performed frequently for radio and television and appeared on Dutch national television in the program ‘Vrije Geluiden’. The Ysaÿe Trio often performs with guest musicians among them pianist Hanna Shybayeva, flautist Felicia van den End, oboist Pauline Oostenrijk, clarinettist Charles Neidich and cellist Dimitri Ferschtman. The trio studied chamber music with Eberhard Felz, Arnold Steinhardt, Valentin Erben, Hatto Beyerle, Istvan Parkanyi and Vladimir Mendelssohn.